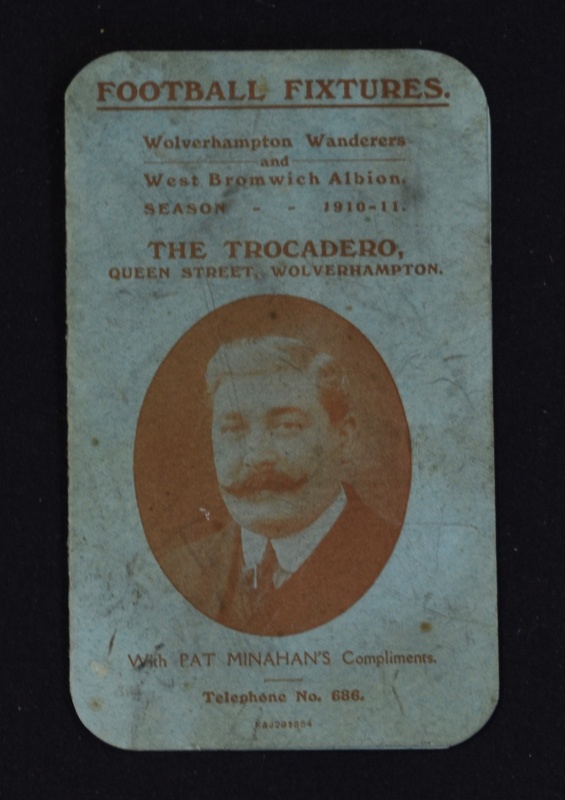 Scarce 1910/11 Wolves/WBA football fixture list as produced by ‘The Trocedero’ Queen Street, Wolverhampton, ‘with compliments’ to the front. 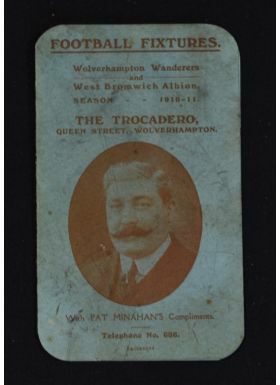 4 page card. Fair.